Distance AB is a short narrative video based upon a text from Albert Einstein’s book, Relativity: The Special and the General Theory. Einstein when defining a methodology for a system of co-ordinates proposes that if a cloud is hovering over Potsdamer Platz in Berlin, that in order to measure its position in relation to the earth, we should erect a pole up to it. In Distance AB the artist travelled to Potsdamer Platz to depict a man carrying out the act of raising a stick up to a cloud. 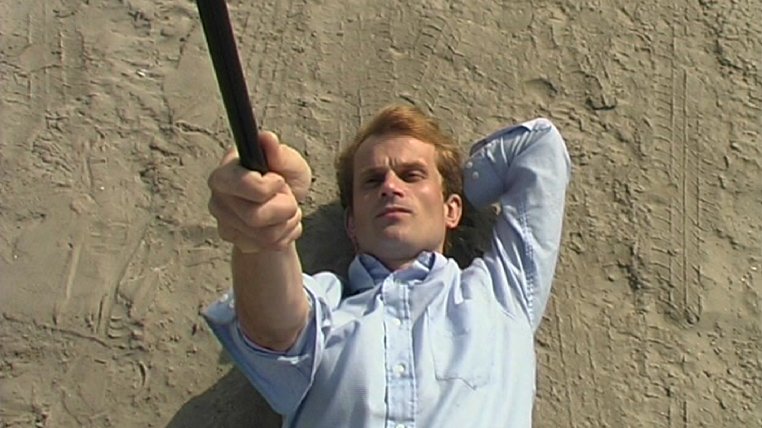 Opening with scenes of Potsdamer Platz undergoing reconstruction, the film cuts to a man lying on the ground surveying the sky above him. As he lies there he raises a stick up to the sky. 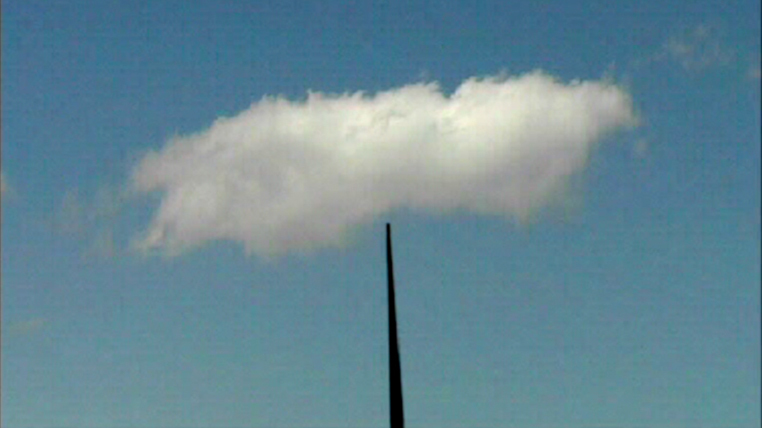 The stick appears to reach the cloud when seen from his point of view while lying on his back looking up at the cloud.